In a world of rapid changes and innovations, it is surprising to see many organizations are still governed by management practices that were essentially developed in the Industrial Age. Most managers find themselves faced with an increasing proportion of workers who are unmotivated order-takers, or dissatisfied burnouts. Some suffer from the burden of carrying too many under-performers. Some see a high staff turnover. The Influential Leadership Workshop Hong Kong coaches course participants in four (4) new perspectives to lead others in a rapidly changing business environment. The leadership development training program is especially useful for those who are open to learn new management practices, and prefer innovation to strict compliance in their business environment. To succeed in the ever-changing business landscapes, organizations need to focus on their core competence by building the strengths of their managers and helping them to correct and upgrade their areas of improvement. This is especially important when the organization is undergoing rapid expansion and people need to be ever-ready to take on new roles and responsibilities. To facilitate the development and the growth of the core business competence, managers must be able to learn to develop their set of Attitudes, Skills and Knowledge in order to set the right examples for the teams they are leading. The Leadership Skills Workshop Hong Kong provides training course participants with best perspectives to lead others effectively, and is especially useful for those who are open to be coached in new business management practices. The Leadership Coaching Hong Kong training programme adopts the Harrison Assessment concept of balancing one’s dynamic and gentle traits to exert the highest influence. The coach will aim to optimize team leaders’ behavioural competencies to drive, develop and motivate team members to deliver desirable and sustainable results. 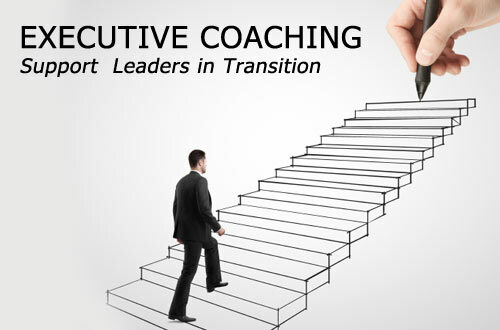 The coachee will sharpen and deepen their leadership skills consistently involving any communication. The objective of leadership coaching is to induce behavioural change such that HK leaders will accelerate their task and people management skills. It is difficult to find anyone who disagrees with the notion that leadership at every level of today's organization is a critical success factor. But how is this achieved? 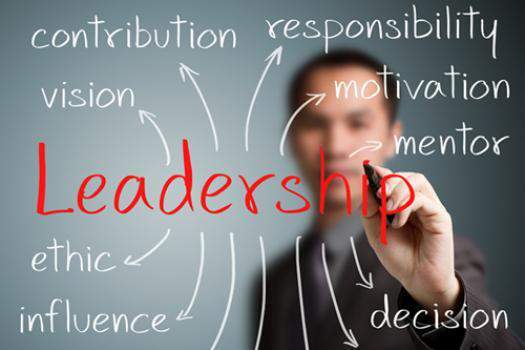 We know that there are only a few great leaders, and that business leadership skills are very special. The Innovations in Leadership training course / seminar in Hong Kong will coach you in the critical processes needed to be an effective modern leader in any organization, within either the Public or Private sector. This is a unique opportunity for you to learn to master the latest business leadership development techniques and processes that will make a difference - you can use these powerful techniques yourself or for showing to others. The growing competition and rapid changes in today’s business environment requires the support of high-performance teams with well-educated and highly skilled members. Such teams require a new breed of business leaders who are motivational, action-based and results-driven. The purpose of Leading a High Performance Team training course Hong Kong is to coach participants with the skills and techniques required to lead others in a business teamwork environment. Through discussions, games and exercises, program participants will be coached how to lead a high performance team that achieve a common top goal while developing best leadership skills of the team members. The Five (5) Practices of an Influential Leader training course Hong Kong is to provide attendees with the concepts, skills and techniques to lead others in a teamwork environment. Through various experimental and customised workshop activities, training program participants will be coached how to lead a team achieve top goals while developing best business leadership skills of its individual team members. Participants of the 21st Century Sun Tzu Leadership training program will learn how to create an edge in their organization by aligning the efforts and talents of different generations of the workforce to attain synergy. The training course examines how industry leaders can apply the timeless wisdom and concepts of Sun Tzu Leadership in order to help them lead, as well as meet the multifarious challenges of today’s business environment. The purpose of the Survival Skills for Managers and Supervisors training programme is to coach Hong Kong managers and supervisors as well as supervisor-to-be with the necessary skills to develop their work effectively. Business skills learnt in this Hong Kong management course will result in more productive relationships, better teamwork, greater harmony and higher morale at the workplace. What is Artificial Intelligence (AI) and why has it now become a significant feature in our daily lives? AI will imminently change the world as we know it, and the consequential changes, as well as their impacts, will have multifarious dimensions. One notable impact of AI will be on Human Resources (HR) management. The evidence so far is that many Hong Kong organisations have not developed AI strategies involving their HR functions, in a mistaken belief that the impact of AI is not urgent, and can therefore be dealt with in the future. But, given the immediacy of the situation, now is the time for remedial action to be taken by all HK business organisations. The Artificial Intelligence (AI) and the World of Work management training Hong Kong seminar will provide the necessary catalyst for change enabling many HR organisational functions to take strategic advantage of what AI has to offer. The training program is particularly relevant for HR directors and those responsible for organisational design, productivity as well as workforce planning. A common problem today is the lack of ability, or willingness, for managers to delegate work and responsibilities effectively. As a result, many managers end up doing most of the technical work themselves while their staff are working below capacity. Managers who fail to delegate not only become a burnout victim quickly, they also missed an important opportunity to develop their staff. The Delegation Skills training program coaches Hong Kong business managers to have the best skills to delegate effectively. Skills learnt and developed in this HK management course will result in a happier workforce, more productive relationships, better teamwork, greater harmony and higher morale at the workplace. In booming days, a social environment is characterised by the pace of market change, and it is vital to manage such changes effectively in order to excel by turning this opportunity into top results. This workshop for Change Management training Hong Kong aims at developing comprehensive knowledge, as well as the necessary skills, for coping with change, and turning this challenge into the best HK opportunities for facilitating business growth. In today's economic reality, change is the only constant factor in most work environments. On the other hand, change often causes anxiety and resistance. If not managed well, these emotions and reactions to change can cripple an otherwise positive initiative. 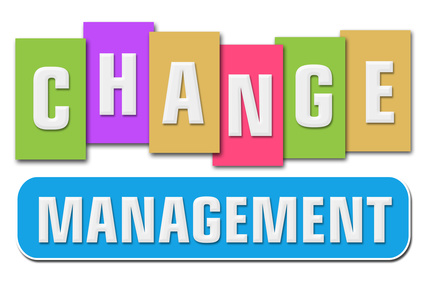 The purpose of the Adapting to Change management course Hong Kong is to provide business managers and employees with the best strategy as well as necessary skills development to deal with change in a positive manner, and to assist in coaching others to adapt to new circumstances. This HK change management course emphasizes dealing with related issues on the cognitive, behavioural, and subconscious levels. As organizations become more flat and less hierarchical, team working is quickly becoming the preferred practice in many firms today. Since teams by necessity involve people with different background and talents, effective team work involves a variety of management, facilitation and communications skills. The Building a High Performance Team training course Hong Kong explores key elements needed for good team management, and the workshops coach the participants with the best skills and techniques required to build, lead and contribute to good team work. Skills developed in this HK team building training seminar will help attendees build their own teams at the workplace. In many organizations, frontline workers are often promoted to become managers and supervisors because of experience or performance. 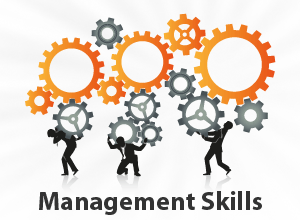 Whilst these managers are technically competent, they often lack the necessary people skills to carry out their responsibilities effectively to build, develop and manage their teams. The purpose of Nurturing your Team training program is to coach newly promoted Hong Kong leaders to have the best skills to build up and nurture their teams. Skills learnt and developed in this HK team building training seminar will result in more productive business relationships, better teamwork, greater harmony and higher morale at the workplace. It is common experience that having a skilled and motivated workforce is vital for an organization, regardless of the organization's mission and strategies. Knowing how to coach and motivate people has become an essential skill for a top class business manager. The Coaching and Motivating Your Work Team training course Hong Kong will provide participants with the best business skills and techniques to coach and motivate others, especially their own work teams. As organizations become more flat and less hierarchical, team working is quickly becoming the preferred practice in many business firms today. Since teams by necessity involve people with different background and talents, effective team work involves a variety of management, facilitation and communications skills. It also requires team members to collaborate with each other. The Developing Team Effectiveness and Collaboration training programme Hong Kong explores key elements in good team building, and coaches course participants with the best skills and techniques required to develop, lead and contribute to good team work. Skills learnt in this HK team management training course will help participants build their own teams at the business workplace. Since teams by necessity involve people with different background and talents, effective team work involves a variety of management, facilitation and communications skills. The Sample Team Building Training Program Hong Kong explores key elements required for building teams in a work environment. This training program will assist attendees to explore necessary developments needed in good team building, and to provide course participants with the skills required to both lead and contribute to productive team work. It coaches course attendees with top class skills to build their own teams at the workplace. People with different social styles have different communication patterns, are motivated by different driving forces, are interested in different things, and have different conflict management patterns. Understanding this difference in the way people think and behave is essential to improving communication and harmony between people. Through games, fun discussions, self assessment and role plays, the Personality Styles and Team Work training seminar Hong Kong will coach participants to identify the social styles for themselves and others, understand the differences between various styles, and develop the best way to interact with others. IQ, technical skills and experience, in combination, contribute to employment competence. When IQ is combined with EQ (Emotional Intelligence) it invariably achieves significant efficiency in any given work situation. Practising EQ increases the ability to be flexible in adapting one’s innate skills and experience, and to motivate oneself as well as others. Can EQ be learnt? YES, It can. Google’s Project Aristotle, surveying 180 teams, identified the principal trait in all successful teams, namely 'psychological safety'. Feeling confident to share ideas, facilitates an individual to think out of the box thus enabling development, support and achievement of team goals - and 'acceptance of each other' is a primary source of achieving psychological safety. This Hong Kong Team Communication training program develops one’s mindset as well as skillset enabling course attendees to thrive on commonality, and to also enjoy each others differences. Blending interest, initiatives and motivation of self with others to produce mutually satisfying results is the key to successful team communication. Suiting the communication style to the team members’ personalities raises the harmony and connection, which drives up business efficiency.